Ndife Fidelis Onyeka is an N-Agro volunteer in Onitsha, Anambra State. He heard about N-Power and while he thought it was a scam, he applied nonetheless. Ndife Fidelis Onyeka is an N-Agro volunteer in Onitsha, Anambra State. He heard about N-Power and while he thought it was a scam, he applied nonetheless. Fidelis lost a previous savings of 300,000 to MMM. When he got on the N-Power programme, he used the funds he received with the help of a benefactor to open a poultry in exchange for managing the fish farm of his benefactor. Now, the farm he manages is excursion destination for secondary school students. His customer in the market also testifies to the quality of his broiler chickens and eggs. Fidelis attributes this to the knowledge he has gained from his N-Power Device pre-loaded with information. Fidelis lost a previous savings of 300,000 to MMM. 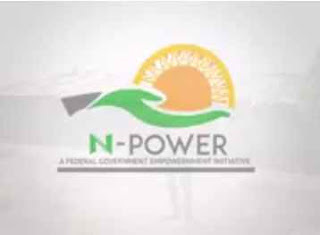 When he got on the N-Power programme, he used the funds he received with the help of a benefactor to open a poultry in exchange for managing the fish farm of his benefactor. Now, the farm he manages is excursion destination for secondary school students. His customer in the market also testifies to the quality of his broiler chickens and eggs. Fidelis attributes this to the knowledge he has gained from his N-Power Device pre-Ioaded with information.